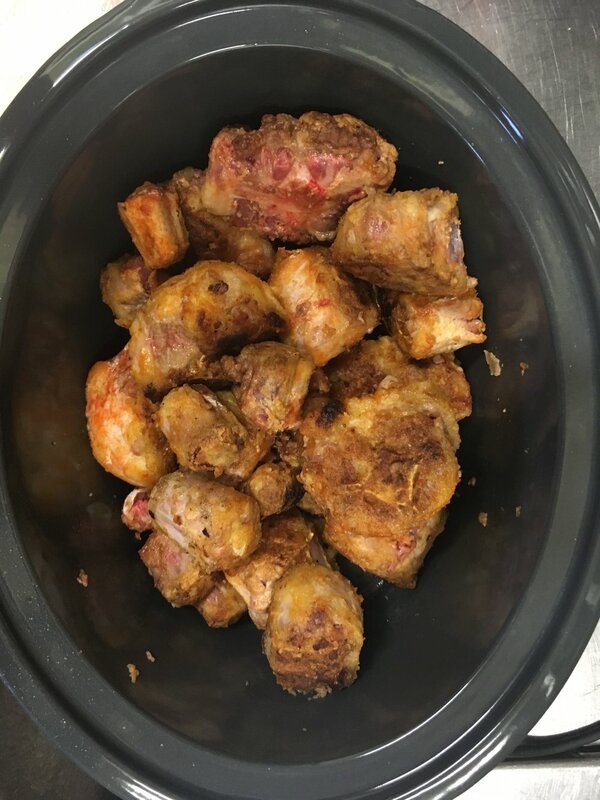 1.5 kg ox bones: The bones and cartilage in oxtail bones contains minerals, amino acids, vitamins, healthy fats, collagen, gelatin and other protein compounds found in the cartilage that makes this dish a healing food for to ensure healthy joints, skin, and gut. 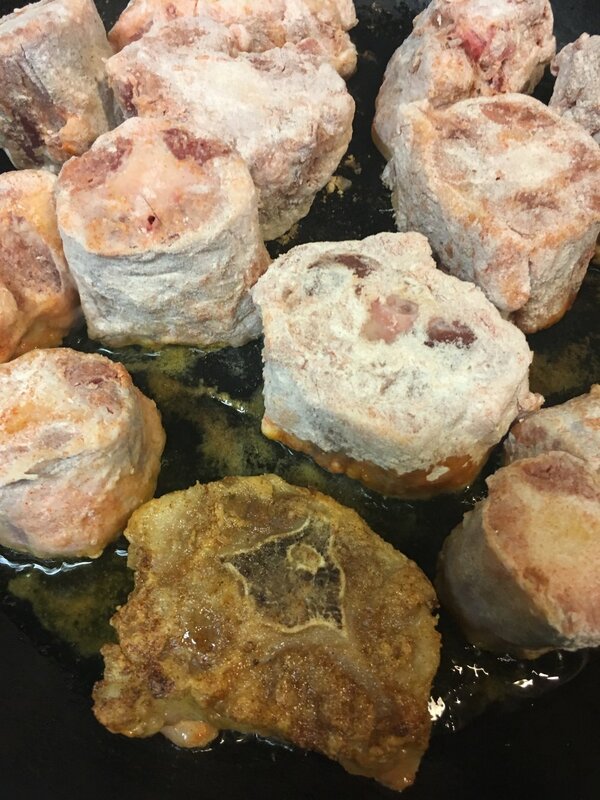 Season with salt and brown all of the pieces of oxtail and leave aside. 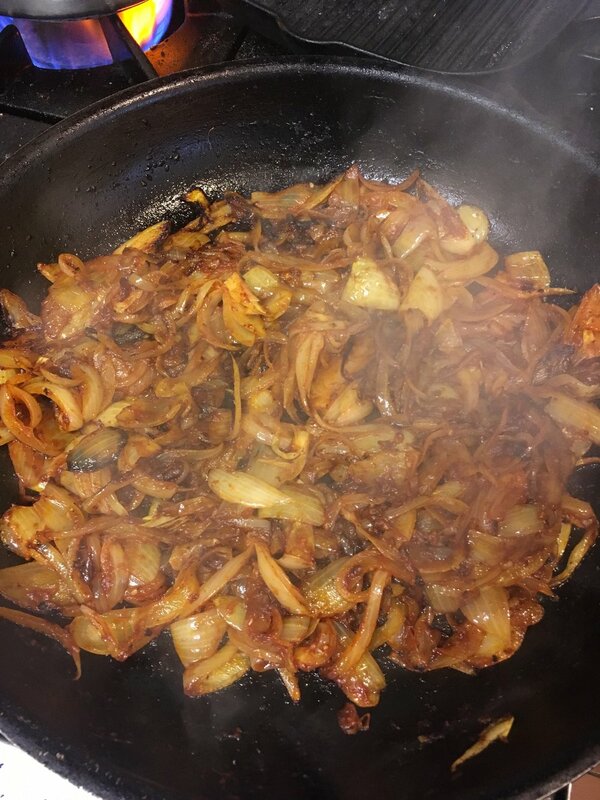 Stir and slowly fry out the tomato paste to sweeten and get rid of most of the tangy tomato taste. Add onion and enough stock or water to cover the oxtail. Dont fill it up too much since the liquid does not evaporate as much in slowcooker. The flavour always intensifies if you add stock instead of water but it will still be damn good if you use water only. You can also add a cup of red wine. ...add pepper and switch the oxtail on high for 5 - 7 hours until meat falls off the bones. If you want to leave it overnight or leave it on while at work, you can cook it for longer on low. Dont worry, you wont overcook it! 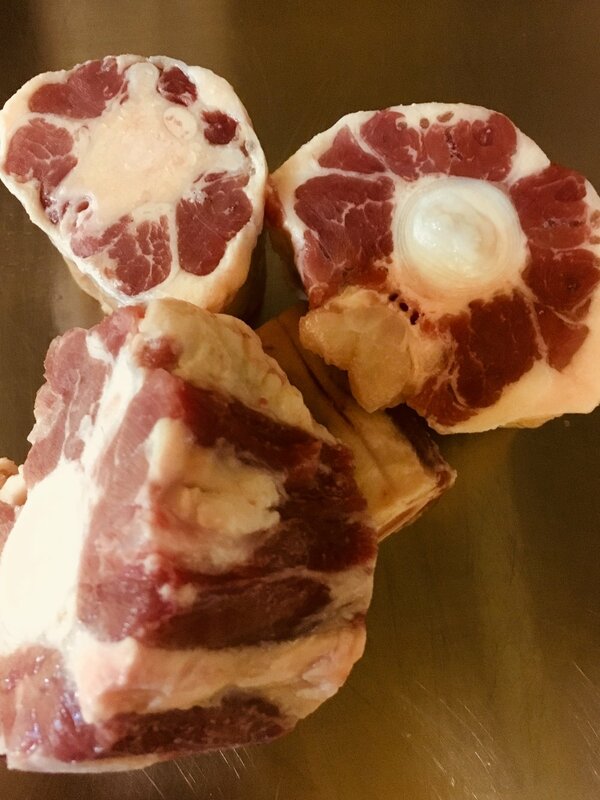 Once the meat is soft, you can thicken the liquid by mixing a level tablespoon of cornflour in 1/4 cup water and add to the oxtail while the slowcooker is still on. Serve the oxtail on mashed potato with freshly steamed brussel sprouts or green beans. Yum!